I’ve posted about The Other 21st Skills and Attributes. 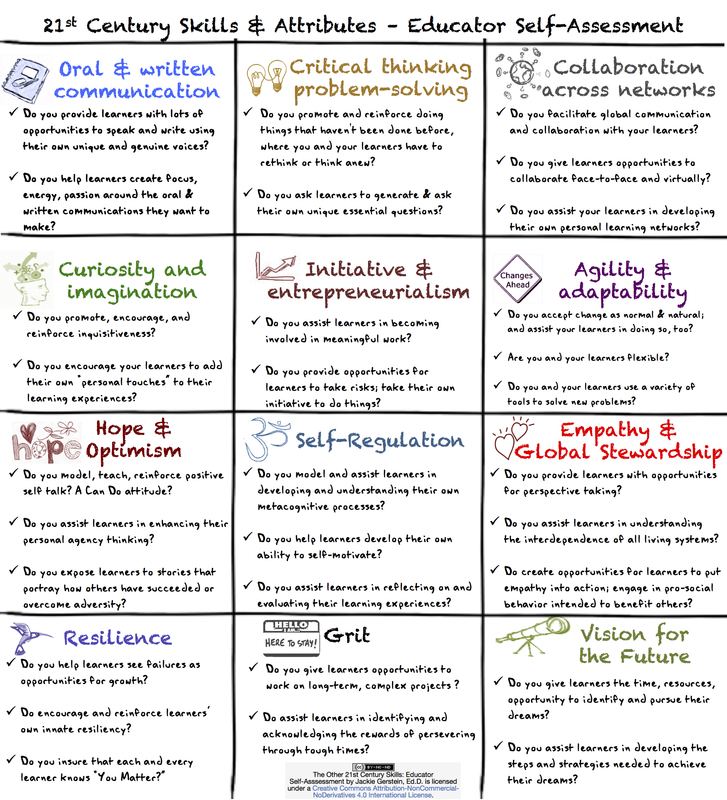 This post provides links and resources about these skills as well as an educator self-assessment. 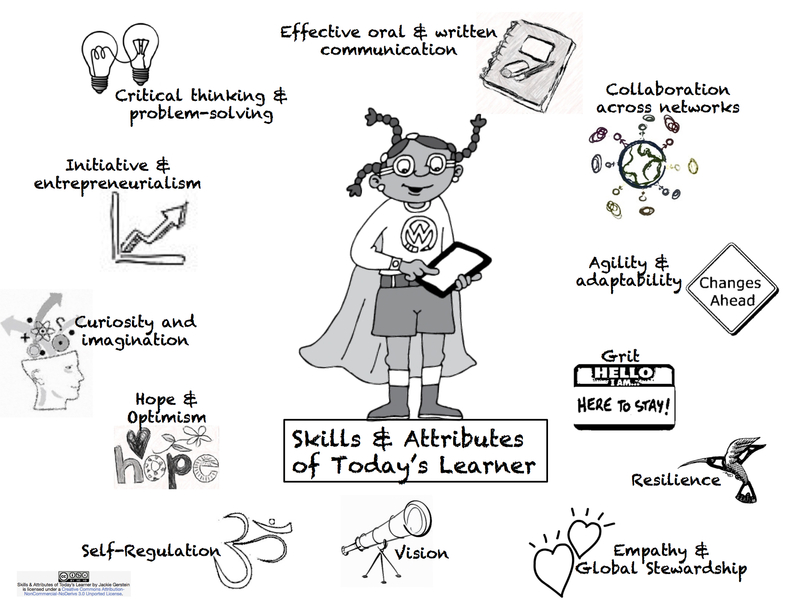 This assessment contains questions to assist the educator in evaluating if and how s/he is facilitating these skills and attributes in the learning environment.